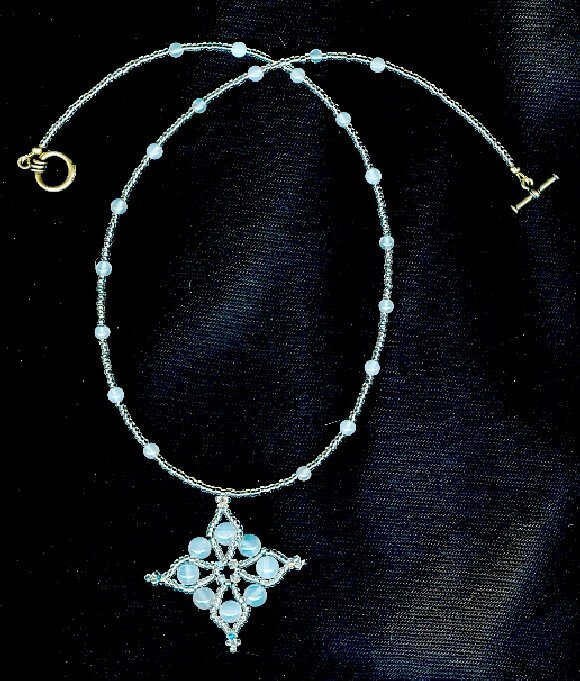 White agate beads glow peacefully within a sparkling frame of silver-lined seed beads and Swarovski crystals in this unique snowflake bead woven necklace. 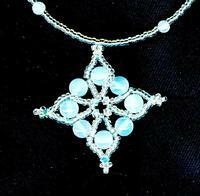 Together they make a snowflake pendant that's about 1-3/4" in diameter. I've used white agate and silver-lined seed beads again in the 19-1/2" beaded necklace. 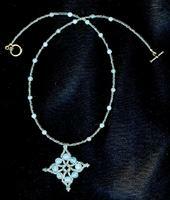 This winter-themed beaded necklace closes with a dainty brass tone toggle. That makes one lovely hand crafted snowflake beaded necklace ANY lady would like as a gift ... and it's priced as only SPARKLE PLENTY does!